The Miami Herald recently ran an article about “pit bulls” used as service dogs in Miami Dade County despite the ban on dogs that animal control officers believe look like “pit bulls”. We would like to clarify some statements made in the article and correct others. Miami Dade County’s ban on these dogs was grandfathered in when Florida made it illegal to discriminate based on a dog’s breed. Dogs that look like pit bulls are protected elsewhere in Florida from discrimination based on breed. 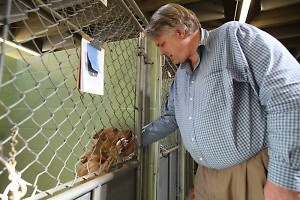 Larry Steinhauser is quoted as saying the pit bulls he has seen are “aggressive”. Of course, we don’t know whether he has seen one or two or any “pit bulls”. People cannot look at most dogs and accurately determine their breed. Recently, in Denver Dr. Victoria Voith did a little test on animal shelter directors, dog trainers and others who work with dogs. They were asked to view 20 dogs on a videotape and identify each one by breed including whether the dog was a purebred or a mix. The professionals were surprised by how few dogs they identified correctly by breed. Voith believes as many as 75% of the pit bull identifications made by shelter workers, animal control or law enforcement are wrong. She is the author of Shelter Medicine: A Comparison of Visual and DNA Identifications of BREEDS of Dogs. As DNA testing becomes more reliable, it is proving that many of the dogs identified as pit bull are actually a mix of dozens of breeds with little or none of the DNA of pit bull type dogs. That means a lot of dogs condemned by BSL are not even "pit bull" breeds. In the last two legislative sessions pit bull bans like those proposed by Mr. Steinhauser were defeated. That is because legislators understand breed bans don’t work to make communities safe. Study after study has proven this. Dogs don't bite because of breed or appearance; they bite out of fear that could have been the result of poor socialization, neglect, abuse, tethering or confinement or isolation. In other words, it is the owner's negligent or criminal actions that are responsible, not the dog's breed or appearance. Breed bans penalize responsible owners and mean the death of dogs that are not in any way dangerous. Breed discrimination is also very costly for communities. Think of it. It means taxpayers are paying animal control officers to run around and hunt down and kill dogs they think are pit bulls when we know even trained professionals cannot identify the breed of most dogs. We would have like to see Mr. Steinhauser come to our Annual MCABSL BBQ Pit Event or Ernie Sims Pitbulls on Parade Event (in Tally). He would have the chance to meet dozens of Pit Bulls, Staffies and mixes and experience the true temperament and standard of these incredible dogs. We think if he had attended this event, he would have realized you can’t predict whether a dog may bite based on appearance or breed or what you think the breed may be. He also would have had a great time with some wonderful dogs! The other person quoted in the article is Ms. Janet Severt, from New Horizons Service Dogs in Orlando, Florida, She is quoted as stating that although she disagrees with the ban she would never train a Pit Bull as a Service Dog. But remember the Center for Disease Control states: “There is no accurate way to identify the number of dogs of a particular breed, and consequently no measure to determine which breeds are more likely to bite or kill.” In some “Bite Lists“ the top biters are Labs and Golden Retrievers which Ms. Severt recommends and trains as Service Dogs! Again, it is not possible to predict whether a dog may bite based on appearance or some belief about breed. There have been a number of Pits, Staffies and mixes who have been service dogs. There is Ruby who visited Hialeah Hospital and Ice Pop who constantly visits hospitals and has raised more than $10,000.00 dollars for charities by offering $1.00 per kiss…They were both rescued from inhumane conditions as pups. The list goes on...Pits, Staffies and their mixes make wonderful service dogs! 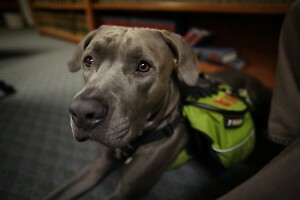 Miami-Dade County’s recognition that pit bulls can be service dogs proves how illogical and irrational the breed ban is. And how tragic for the dogs and the people who love them. The Miami Coalition Against Breed Specific Legislation. officials accept dogs that their own laws deem inherently unacceptable? Disabilities Act. Allen Grider of Aurora and Glenn Belcher of Denver are U.S.
their service animals of choice: pit bulls. dog to live at a friend's house outside of Aurora. rules for dogs that are deemed vicious, stipulations that Edwards calls absurd. owners and animal welfare groups to maintain the ban over the last two decades. $75,000 and a permanent exemption to the pit bull ban for service dogs. with a disability," she says. 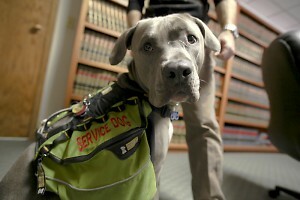 local agencies to determine if a service animal is legitimate under federal law. attorney's office to make sure they stay on the right side of the the ADA. service training as a stipulation to allowing individuals to keep their animal. Contact the author at jared@facethestate.com or 720-279-9870 x106. This blog is now located at http://blog.k9advisors.com/. Why not pamper you and your furry friend this Valentine's Day in a different way. Take advantage of our gift certificates today! The Miami Coalition Against Breed Specific Legislation was founded in October of 2008. It first began when directors, Dahlia Canes and Edel Miedes partnered together to help stop the mistreatment of animals in the city of Miami. Their goal was to stop all breed discrimination and eventually overturn the Breed Specific Legislation ordinance in Miami Dade County. They were later introduced to a group of professional individuals who shared their same beliefs and passion. Among them are the MCABSL Board Members: Jesus Rivero, Jade Soto, Jessie Hernandez, Jeri Smith, Anne Shields, Kate Wruszak, Jorge Guerra and Eliana Ardila. Each has contributed to the very core of this organization and its progress. Together they are involved in changing the public perception of the many innocent dogs that are euthanized every day solely because of their breed. They are currently undergoing a long legal battle to repeal Breed Specific Legislation (BSL) in the city of Miami, Florida. This unjust ordinance prevents Miami Dade residents from owning American Pit Bull Terriers, Staffordshire Terriers and Staffordshire Bull Terriers. The law was first introduced in 1989 and has never been challenged until now. Many lives have been lost and are being affected daily as a direct result of BSL. We are dedicated to ending the suffering of the thousands of voiceless canines who are taken from their families and sentenced to death because of their breed. Through the implementation of education, awareness and responsible ownership, we hope to show the public the true nature of these loyal and loving animals. They deserve a chance at life and we intend to fight for their freedom. Take a stand against discrimination and help us save lives by supporting our cause. Remember that with a little love and dedication, anything is possible! Our Motto: Promoting Awareness, Education and Responsible Ownership. Mission Statement: To protect and preserve the lives of canines everywhere, specifically by vowing to eliminate Breed Specific Legislation from all parts of the world. My Animals Rock is not a specific place--we do not have a shelter- -instead, we are a small network of people who volunteer our time and homes to save the lives of animals in need who are injured, abandoned, surrendered, or lost. We are dedicated to finding loving, permanent homes for unwanted animals and educating the public about the joy and love that rescue animals give and need. Our dream emerged one day as we, the dedicated, determined doggie duo, met each other walking dogs in our neighborhood. Each one of us walking three of our furry, four-pawed kids, or, to be more accurate, they were walking us. We had never met before, but we obviously had 3 things in common. Dogs, dogs, and dogs. This serendipitous encounter was the first of hundreds of conversations, meetings and plans in which we mapped out our goal of saving the lives of any and all animals in need that cross our path ..... well, they don't always have to cross our path! Our goal is for our organization to serve as a vehicle by which we save many animals from death and suffering by rescuing, fostering and finding them loving permanent homes. We will assist any organization, shelter or individual by providing information and exposure for the animal in need. Along our journey we are committed to educate as many humans as possible regarding the humane treatment of animals and the dire consequences of the failure to spay and neuter companion animals. We welcome you to join us. While pets can eat some of the same foods that we do, feeding pets food that we enjoy can be very dangerous, it can cause illness and sometimes death. below are a few items that you SHOULD NOT give to your dog. RECEIVE A 20% OFF A FOUNDATION TRAINING LESSON. THIS LESSON WILL HELP CREATE A MORE LOVING AND STRONGER BOND BETWEEN YOU AND YOUR DOG. This email was sent to robinstein@bellsouth.net by k9advisor@yahoo.com. A court ruled Miami-Dade's 20 year ban on pit bulls was too vague in defining "pit bull" and unfairly let animal control officers basically guess whether a dog is a pit bull. This lawsuit pertained to a dog named Apollo specifically, and opens the door to a broader lawsuit against the ban. Miami Coalition Against Breed Specific Legislation (MCABSL) and Animal Law Coalition applaud a court ruling that the Miami Dade County Pit Bull ban is too vague, and the county cannot enforce the finding by animal control that a dog is a pit bull that must be euthanized or removed from the county. The ruling came in a case challenging the finding by Miami Dade County Animal Control that a family pet named Apollo was a “pit bull” that must be removed from the county or euthanized. The county bans all dogs that “substantially conform” to American Kennel Club standards for American Staffordshire Terriers or Staffordshire Bull Terriers or United Kennel Club standards for American Pit Bull Terriers. To determine if a dog substantially conforms to these standards, animal control uses a chart that lists 15 body parts such as “head”, “neck”, “lips”, “chest”, “eyes”, “tail”, “hind legs”, etc. The officer places a check mark to indicate whether each characteristic conforms or not to a pit bull. If 3 or more characteristics are checked “conform”, the dog is declared a pit bull. Rima Bardawil, the attorney for Apollo, pointed out that there is no such chart authorized by the ordinance and it is not clear what standards animal control is using in making its determinations. Also, Dahlia Canes, executive director of MCABSL, testified that animal control is “constantly” mis-identifying the breeds of dogs. She told the court about one dog that was declared by an animal control officer to be a pit bull mix and ordered euthanized. Canes arranged to have the dog re-evaluated and he was determined to be a mastiff mix. The dog was then adopted to a family in Miami-Dade County. In this case the animal control officer photographed Apollo from several feet away and then using the photo, picked 3 body parts he said he thought conformed to pit bull standards, whatever those are. As Canes pointed out later, “Many breeds of dogs and mixes have the same or similar traits. It is impossible to determine breed this way. Seriously, you are going to say a dog is a pit bull based on 3 traits like round eyes, broad shoulders and a muscular body? Dogs are many times genetically a mix of many different breeds. The judge agreed. This proves breed shouldn’t be a factor in deciding whether a dog presents a danger.” # # # Miami Coalition Against Breed Specific Legislation was formed in 2008 to end Miami Dade County's pit bull ban. For more information and how you can help, visit www.mcabsl.wildapricot.org Animal Law Coalition works to stop animal cruelty and suffering through legislation, administrative agency action, and litigation. ALC offers legal analysis of the difficult and controversial issues relating to animals. 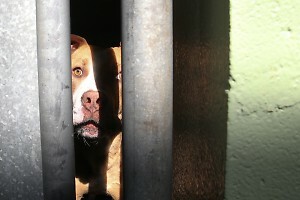 Visit www.animallawcoalition.com for more information.